Join us for a workshop focusing on Small Business Social Media. 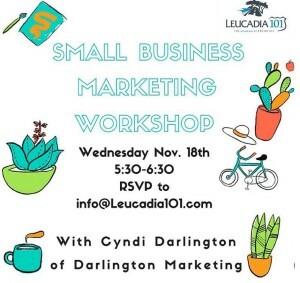 We’re partnering with our friends at Leucadia 101 Mainstreet Association to cover the anatomy of a great Instagram post, how to create Facebook ads that target your local audience, and much more! We’ll cover which channels work for your business, how to attract and engage followers, and converting clicks to sales. 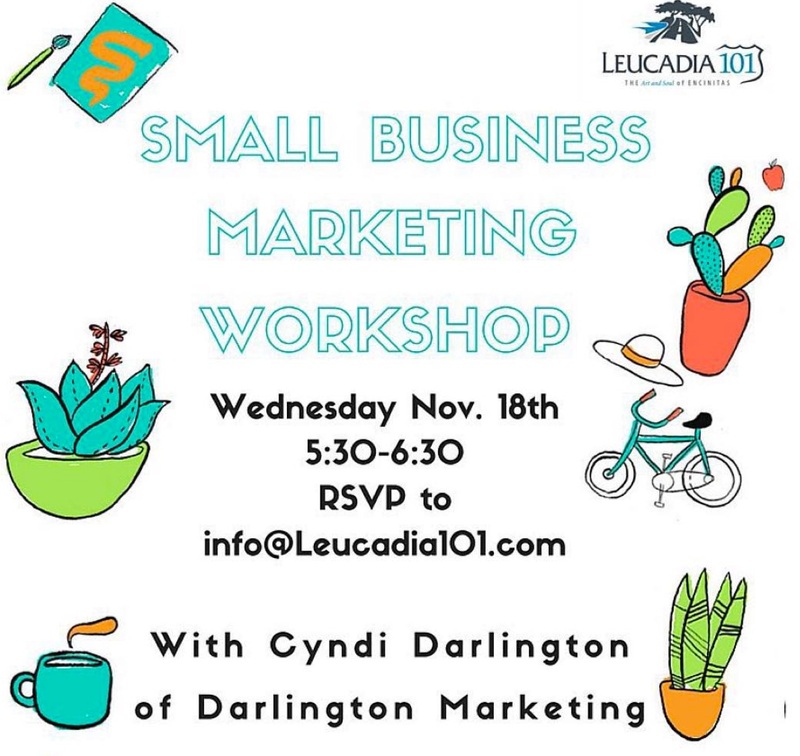 Lastly, we’ll create a content calendar and discuss how to manage your social media marketing on top of all of the other things that you small business owners have on your plates! RSVP to L101.